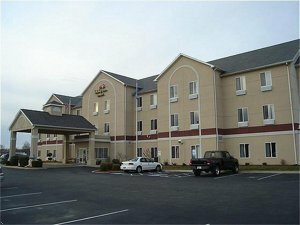 The Holiday Inn Express Hotel & Suites Bedford has 64 rooms, jacuzzi suites and mini-suites available. Guest room amenities include: 2 phones with 2 lines, data port & voice mail. We also feature two large meeting rooms, 24 hour business center, 2nd floor rooms with pool view. Wireless high speed Internet access available. ®Stay Smart® at the Holiday Inn Express Hotel. We offer: free Express Start breakfast bar, free local calls and Priority Club Rewards benefits. This hotel is committed to providing accessible facilities under the American Disabilities Act. If your accessibility needs are not met, please contact the Hotel Manager on Duty. Should you require additional information regarding accessible facilities for guests with disabilities, please call 1-800-465-4329 (U.S. and Canada) or contact the hotel directly. For the hearing impaired, TDD service is available at 1-800-238-5544 within the U.S. and Canada. 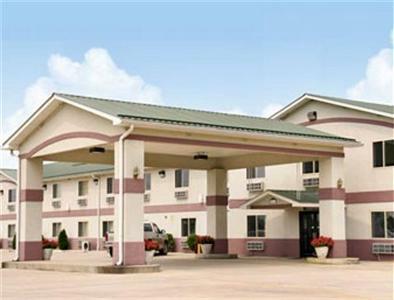 The Comfort Inn hotel is the perfect location for business and leisure travelers. The modern features and services make it a home away from home when visiting the Bedford area. 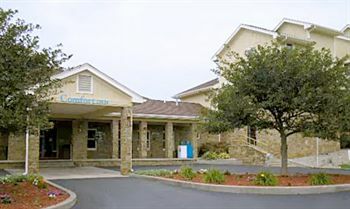 The Comfort Inn hotel is conveniently located less than 8 kilometres from the Land of Limestone Museum and Bluespring Caverns. The rooms offered at the hotel are well facilitated and modern to make you feel at home. The guests can enjoy the delicious breakfast offered on-site or visit the nearby restaurants for a wider choice. Guests on business can avail the on-site conference facilities that can accommodate up to 184 persons. At your free time you can visit areas of attractions like the Paoli Peaks, alpine ski area, Spring Mill State Park and later relax at the swimming pool. The Super 8 Bedford, IN, The Limestone Capital of the World, is conveniently located off of US Highway 37, just 20 minutes South of Indiana University. The Super 8 Bedford, IN is just a short 20 minute drive to Indiana University, Assembly Hall, Memorial Stadium, Indiana University Cyclotron, and Indiana University Auditorium. Just minutes from the property you can find Spring Mill State Park, Blue Cavern Mystery River, and Blue Spring Caverns. The Super 8 Bedford, IN offers Free High Speed Broadband Wired and Wireless Internet, Refrigerators, 25 inch TV, Expanded Cable w/HBO, Indoor Heated Pool and Spa, Exercise Room, Business Center, plenty of free large vehicle parking, and our SuperStart Plus Breakfast. We are guided by one simple commitment Clean Accommodations and Friendly Service. Our Clean and Friendly promise is designed to make you feel at home during your visit to the Rosemount Motel. If you’re looking for a destination for that special get-away or just a cozy room when you’re visiting the Bedford area and Lawrence County, then The Gardens Inn Bed & Breakfast is the perfect place for you! We think you’re special, so we don’t just provide you with a room for the night ... we make you feel like you’re visiting family! 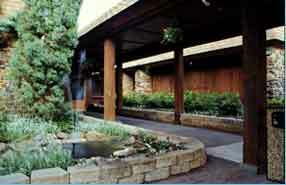 Fourwinds is a beautiful Bloomington, Indiana hotel, resort, and marina on the shores of Lake Monroe. We offer families, groups and individuals the ideal lakeside experience for their vacation - be it for business or fun. Our beautiful setting and spectacular views makes your Fourwinds experience one that delights the senses.